Dr. Ramsey started the Eye Care Clinic at the Raleigh Rescue Mission back in 2011 to provide free eye care and prescription glasses to those in need. 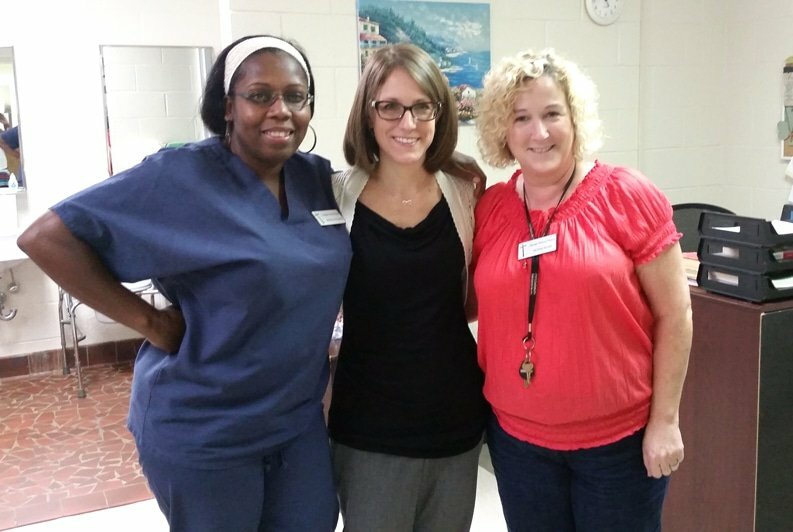 Over the years, the Eye Care Clinic has evolved into bi-monthly sessions where the residents of the Raleigh Rescue Mission come our office for comprehensive eye exams and prescription eyewear if needed. We block the schedule at EyeCare for You and dedicate our entire office and staff to providing the same high-quality care and customer service that we believe all our patients deserve. Since starting the Eye Care Clinic, Dr. Ramsey has seen hundreds of patients from the Raleigh Rescue Mission. By providing updated prescription glasses and complete eye care, we are able to give the patients the vision necessary to study, get jobs, and once again become contributing members of society. Our vision is often overlooked as one of the many gifts that we have. We use our sight in almost everything that we do, from eating our breakfast to reading an article to working at our jobs. Now imagine that you cannot see without your glasses. What if they were broken or lost and you had no way to replace them? For most of us, it would be extremely hard to function, hold down a job, or even just be able to take care of ourselves without being able to see. Since 1961, Raleigh Rescue Mission has offered hope and life-changing help to well over 750,000 homeless and hurting individuals. They serve both men and women battling life-controlling issues, women and children needing emergency shelter, those who thirst in the summer and shiver in the winter, those who never had a chance and those who need a second chance. Special Thanks to Regina for All The Support! Regina coordinates all the patients' schedules, books their appointments, and drives the patients to and from the mission to our office. Thank you for all you do! Because of her commitment to the less fortunate, the homeless of Raleigh and the surrounding communities now have the opportunity to get the eye care that they desperately need!